New Jersey specifies six distinct acts, any one of which it defines to be shoplifting. The first act is the traditional one that comes to mind when one hears the word “shoplifting”: A person takes possession of merchandise with the intention of not paying its full retail value. In order to qualify as shoplifting, the merchandise must have been offered for sale by a store or other retail establishment. Thus, if a person carries away, let us say, another customer's wallet left in the fitting room of a clothing store, that would not be shoplifting, because that customer's wallet is not something that the store was offering for sale. Note that shoplifting under this method does not require removal from the store. Removal might be proof of the person's intention, but if that intent can be established through some other means, the fact that the item was not actually removed will not prevent conviction on a shoplifting charge. The second act is a variation of the first. 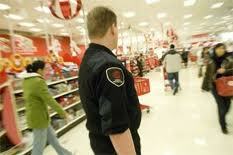 New Jersey defines as shoplifting concealing retail merchandise when that concealment is for either of two purposes. The first purpose is to deprive the merchant of the use of the concealed item or items. The second purpose is to enable the concealer to convert the item to his or her own use without paying its value. Neither of these variations require actual removal from the store. Thus if a woman puts a bottle of perfume in her purse, intending to leave the store without paying, New Jersey law says that that is shoplifting. Walking towards an exit with the merchandise still concealed may suggest the woman's motive to not pay. But even if the woman was never close to an exit, she can still be found guilty of shoplifting under New Jersey law. The third method of shoplifting under New Jersey law is to remove or alter the price tag on retail merchandise in order to purchase the item for less than its full value and thereby deprive the merchant of its value. This third method can be done either alone or with the assistance of another. Here, too, actually leaving the store is not required. Nor is even bringing the item to the checkout counter. What New Jersey defines here to be shoplifting is the tag removal or alteration itself, with the stated purpose. The fourth act that constitutes shoplifting under New Jersey law is to transfer merchandise from one container to another in order to obtain a lower price. This might happen, for example, when there are two boxes of athletic shoes, where the shoes in one box are more expensive than the shoes in the other. Switching the contents of the two boxes and then bringing the more expensive shoes in the box showing the lower price would constitute this fourth act. Again, note that it is not necessary to even approach the sales register. The act of switching, all by itself, constitutes shoplifting provided that the intent to deprive the merchant can be established. The fifth act would be one normally involving a store employee. New Jersey defines shoplifting to include underringing the price of an item when the purpose of such underringing is to deprive the merchant of the full retail value. Although typically the actor under this method would be a store employee, self-serve lanes in the supermarket give non-employees the opportunity to shoplift under this variation. That could be done, for example, by putting a dozen apples into a bag but, at check out, entering the number as nine. The sixth and final act that New Jersey defines to be shoplifting consists of removing a shopping cart from store premises with the intention to permanantly deprive the merchant of its possession, use, or benefit. Note that all six varities of shoplifting requires some purpose or intent. Purpose or intent in many cases may be difficult to prove. New Jersey law, however, supplies certain “presumptions.” Thus, under New Jersey law, a person who conceals merchandise is presumed to have done so with the purpose of depriving the merchant of the full retail value. This then shifts the burden upon to the defendant to then prove that he did not have that particular intent. New Jersey law also allows a merchant believing that a shoplifting is in progress to detain the suspected individual and take him into custody. The law gives civil and criminal immunity to a merchant who does this even if he is wrong. In order to obtain the benefit of this immunity, however, the merchant must have had probable cause to believe that the shoplifting was, in fact, in progress. Shoplifting has various levels of seriousness, depending upon the value of the merchandise in question. The amounts corresponding the different levels are under $200.00, $200.00 to $500.00, $500.01 to under $75,000.00 and, finally, $75,000.00 and over. The grades of offenses that correspond to these levels are disorderly persons offense, fourth degree crime, third degree crime, and second degree crime. A disorderly persons offense charge will be heard in municipal court. All other grades are handled in Superior Court. Shoplifting convictions, whether in New Jersey or elsewhere, and even if “only” for a disorderly persons offense, have very serious repercussions. They can prevent a person from obtaining a job or a professional license for years to come. They can make it difficult or, sometimes, impossible for a non-citizen to become naturalized or even to remain in the United States. Some countries, such as Canada, may bar persons convicted of shoplifting from entering the country. All sentences for shoplifting in New Jersey are required to include imposition of unpaid community service. For a first shoplifting conviction, the minimum period is ten days. On a second conviction, the minimum period is fifteen days. For a third conviction, the maximum period is twenty-five days. Additionally, the judge is required to then impose imprisonment of ninety days or more. A New Jersey statute allows merchants to demand payment from persons charged with shoplifting. That statute is N.J.S. 2A:61C-1. The amount that N.J.S. 2A:61C-1 says merchants can demand from shoplifters is the value of lost or damaged merchandise plus a “civil penalty” of up to $150.00. When the shoplifter fails to comply with this demand, the merchant can sue the shoplifter. If the merchant prevails, he can recover, in addition to the amounts just specified, attorney's fees, and court costs. Two items of particular importance: First, payment of this amount is in addition to criminal prosecution for the original shoplifting charge. Second, the merchant is allowed to pursue this civil remedy regardless of whether the shoplifter was convicted. Put differently, even if the shoplifter goes to trial and wins, the New Jersey merchant is still allowed to seek this civil penalty. Persons facing shoplifting charges in New Jersey, whether they know it or not, desperately need legal assistance. This assistance should be from a New Jersey Lawyer experienced in handling shoplifting matters. Allan Marain and Norman Epting, Jr. are New Jersey shoplifting lawyers. They have successfully defended clients charged with shoplifting from places such as supermarkets, department stores, and convenience stores. Attempting to deal with shoplifting charges without legal assistance will almost always be cause for later regret. Page last updated 20 August 2017, and displayed Thursday 18 April 2019, at 07:12:36 EDT.